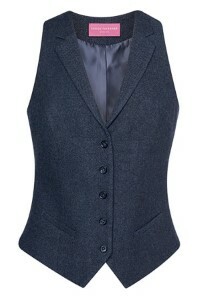 Our NEW tweed look Waistcoats are Stylish, Lightweight, Practical and available in Unisex sizing from XS-XXL. Your Front of House Staff will look Sharp and Business like in this modern uniform with a Classic Twist. 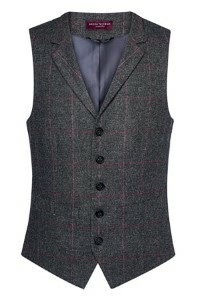 Our Tweed waistcoats are available in a wide range of practical fabric options direct from stock for Fast Delivery! Matched with our Chino range that has been specifically designed to enhance the overall look, the combination looks stunning. Long, Mid length or Short Aprons are also available in a wide variety of styles and in over 40 colours. No matter the colour scheme of your interior we can create the uniform to match or contrast. Fast delivery from stock on all items. Our Long, Mid length or Short Aprons are also available in 40 colours. No matter the colour scheme of your interior we can create the uniform to match or contrast. Fast delivery from stock on all items. These NEW look waistcoats are stylish, lightweight, practical and available in gents and ladies styles. Notch lapel, 5 button front, 2 welt pockets, tweed style back with vent detail and adjuster. Notch lapel, 5 button front, 2 welt pockets, tweed style back and adjuster. Tweed Inspired Staff Uniforms - Embroidered With Your Company Logo or Text in Our UK Factory.